COLIN JACKSON was a towering centre-half who gave Rangers 20 years of tremendous service. He was a tall, slender stopper who was excellent at reading games and denying opponents goalscoring opportunities. His aerial ability was also never in doubt but Jacksdon had to be very patient during his Rangers career, often spending weeks in the Reserves behind the likes of Ronnie McKinnon and Derek Johnstone. The defender’s biggest disappointment came when he failed a fitness test on the eve of the European final of 1972 in Barcelona after playing a significant role in getting the club to the latter stages. On the other hand, Rangers fans will always remember the dying moments of the 1978-79 League Cup Final against Aberdeen when he headed the winning goal in the 90th minute. 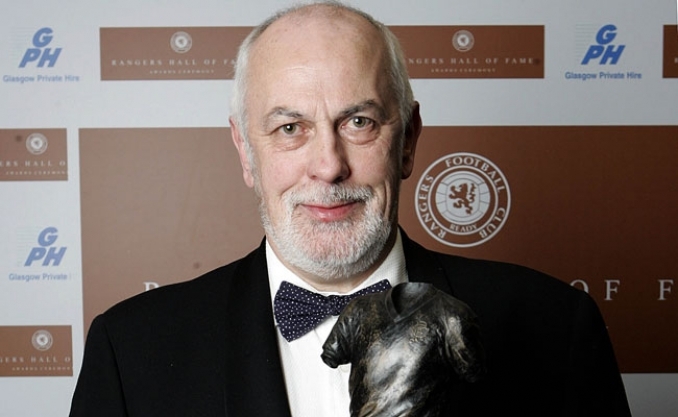 Rangers signed Colin, who was born in London on October 8 1946, from Sunnybank Athletic in Aberdeen in 1963 and is one of only three Rangers players to be capped by Scotland despite being born outside – Richard Gough and John Little are the others.